I worked with Ron Miscavige in the music department at Golden Era Productions from 1991 until 2012. I know him and worked with him daily for 21 years. From someone who knows him well, he is not to be trusted or believed. 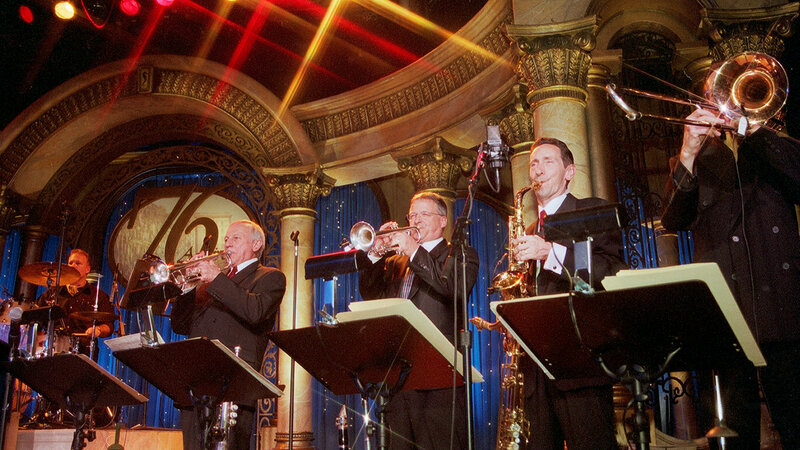 Any memoir from Ron Miscavige could only be about his years working in the band, he knows of nothing else. And portraying life in the band any way other than how it is, which is tremendous, is utterly offensive and untrue. From the time Ron began working in the Music Department, he was given the privilege to work with some of the top entertainers in the music industry. This was something he would never have had an opportunity to do outside of the Gold Musicians given his lack of skill as a musician, which was a result of his utter refusal to practice and learn, and his complete lack of social graces. That he is describing life at Golden Era as a comparison to prison is ludicrous. When I arrived to Golden Era Productions, I was amazed at how it was such a vibrant scene. Not only is it a great working environment for an artist or musician, but it is beautiful and enjoyable with people who work together as a team, for real. Ron saying something else is purely slanderous of all of us and I have photos of him, portraying the exact opposite of what he is saying and showing exactly what I am saying is true. He is simply and sickeningly trying to make money writing lies about his son, when his total experience as a Golden Era musician would, perforce, be talking about us. He didn’t do anything else! He was not privy to management or policy discussions any more than I would’ve been—because we were musicians! Ron was not an honorable man particularly. He was not very productive, but was “tolerated” because of his relationship as the father of Mr. David Miscavige, for whom we all have tremendous respect. If not for that, Ron, as a person, would not have been allowed to remain as part of this group. It’s a fact that he didn’t maintain his playing ability or seek to improve or increase his value as a musician. His playing may have been pro level at some point in the distant past (like in the 1960’s maybe), but his “chops” were poor enough that his band parts were made super-simple. And even with that, he still would often just fake playing, or simply hold his horn while his part went by. Even the sound engineers at the shows would simply bury his mic in the mix—meaning they would run it so low you really couldn’t hear it—because his tone/tuning was so bad. Ron is the type of man who is truly only concerned about himself and “what’s in it for ME!” … He is shiftless and a shirker. In addition to being the band’s drummer, I’ve also been the recording engineer in the music studio for the last 25 years and I’m qualified to say that as a (very occasional) talent in the studio, Ron was the fussiest and most troublesome to record of any musician I’ve ever worked with! And that is saying something after having spent the last 25 years recording! He required constant coddling to get through his part. It would take at least 15 minutes before he would start recording, adjusting his headphones and making things acceptable for him, then it would require many, many takes to get something that could then be fixed by engineers after Ron was gone. Ron would also yell at me, blaming me for his own lack of professionalism and constant mistakes! Ron is the type of man who is truly only concerned about himself and “what’s in it for ME!” He never tried to work harder so he could be an asset to the band and better help his fellow band-mates. He is shiftless and a shirker. Now, he claims some special access or insight into Church management etc., but he’s never been anything more than one of the musicians, in the Music Department. As Mr. Miscavige’s father, he of course had time with Mr. Miscavige, as family. Not anything more than that. Moreover, Ron was not considered stable or trustworthy. Ron has many discreditable acts to his name; a history of bullying and assaulting women and co-workers, falsifying reports and statistics, and being one of the least productive staff I’ve ever encountered. The last few years before he left, many, many people tried to help him; musically, morally, medically, you name it. But he didn’t really want the help. I think he wanted to feel justified in complaining how bad it all was because he had to convince himself he was right for becoming some kind of “victim.” By that I mean that he was not producing or contributing anything much, but was consuming much in terms of money and attention, especially for his medical complaints. Every one of the specific points I’ve seen that he is claiming, and which he’s railing against, is a bizarre, corrupted inversion of the truth. For example, he claims he was singled-out and picked-on because he was Mr. Miscavige’s father. Ron really milked his quasi-celeb status. It only worked that way because of the extremely high regard in which Mr. Miscavige was held by the general staff, and that was what Ron traded upon for his “perks” as he called them. Actually, the facts are that Ron was VIP’d everywhere we travelled just because he was Mr. Miscavige’s dad. We travelled quite a bit through the 90’s as the band for the various Scientology events, and without exception Ron was always catered to by the staff at the organizations we visited. Way above what the rest of us in the band would accept; he nearly always had a private room whenever we were travelling abroad while the rest of the crew stayed in hostel-style dorms. He had coffee and espressos served to him, everyone else got their own, because we were staff members too and it just wouldn’t be right to be ‘served’ by other staff, but Ron really milked his quasi-celeb status. It only worked that way because of the extremely high regard in which Mr. Miscavige was held by the general staff, and that was what Ron traded upon for his “perks” as he called them. And not just when we were abroad—at home he was certainly “perked” because he was Mr. Miscavige’s dad. If those various considerations and perks weren’t readily provided, he’d demand them. Things like gassing up his car for free from the motor pool, special “favors” from the galley, you get the idea. “So what?” you say. True, I’m not talking now about something he could go to jail for. But he lived amongst a group for which the above actions were considered very indulgent and beyond the line of what was considered acceptable for a fellow staff member. But that’s where Ron was at; he “deserved” it, just because of who he was (i.e. : Mr. Miscavige’s father), not because of any actual work or doingness or accomplishment. Mr. Miscavige had no idea this was occurring and would never have approved any form of nepotism. The staff did it because they wanted Ron “happy” so he wouldn’t go and bother his son with his petty complaints—it was basically an endless “damage control” drill with him. Literally, everyone knew that Ron was a “loose cannon" and did this as a way to keep Ron’s b.s. off of Mr. Miscavige’s plate because they had so much regard for Mr. Miscavige and knew how important his time was. Now Ron goes out and utterly betrays us all—all those who tried to help him. He is nothing more than a traitor and should be called “Judas,” a very apt nickname for Ron: The Betrayer. He never even tried to contact us again. He would tout himself as a Marine, but for him “Semper Fidelis” only applied to when he was running around while playing soldier-boy, to hell with everybody else he’s been working and living with for the last 25+ years. But again, Ron thinks only of himself and I guess thinks we’re trash and he’s above everybody. Well, is he getting the same treatment we gave him, today? He had the easiest life imaginable and the most beautiful facility imaginable and still nothing was good enough for him. Watch your back with this guy—he’s only doing this book for the money. There is no “higher motivation” for him. As far as he’s concerned, the end justifies the means, and he doesn’t give a damn who he stabs in the back or what lies and fabrications he invents, he just wants the cash. So understand you are dealing with a man who has no scruples.